Feminist Walking Tour 2013 | Come Here To Me! 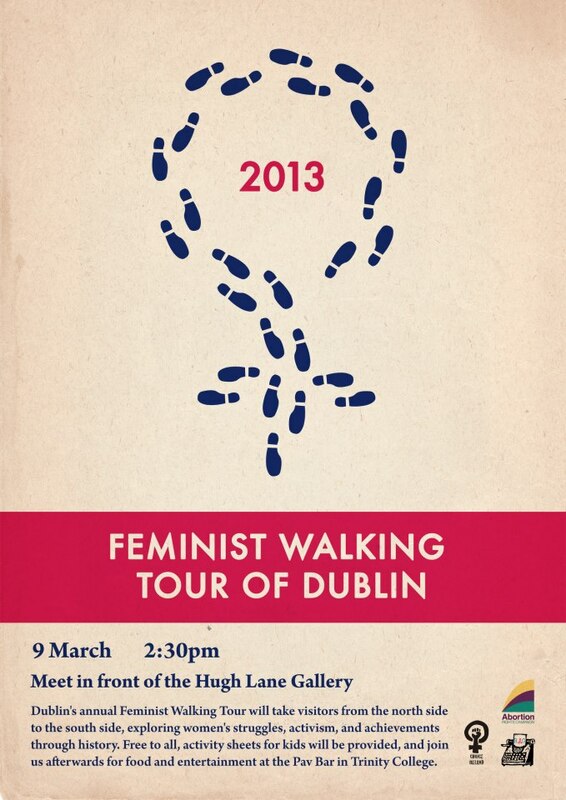 As ever, we wish every success to the annual Feminist Walking Tour. I had high hopes of attending and supporting the event, but am away in Italy for the weekend (it’s a hard knock life). The event is free, and is followed by food and refreshments in the Pav, at Trinity College. The censorship of feminist magazine Spare Rib in Dublin. Bread and Roses, a look at the UCD feminist zine in the 1970s. The invasion of Leinster House, 1971. Statues of Dublin: Constance Markiewicz and Poppet, Tara Street. Plaque in honour of leading Dublin feminist Francis Sheehy Skeffington.